Vuetify is a semantic component framework for Vue. It is built according to Google's Material Design Spec and has intuitive properties without complex classes and markup. In this app, we make use of Vuetify components like VGrid, VCard, VList, VTextField, VBtn among a bunch of available reusable components. We added vue-apollo to this app and configured ApolloClient to make GraphQL queries for storing and managing the todos in the database. We will use Hasura to get instant GraphQL APIs. 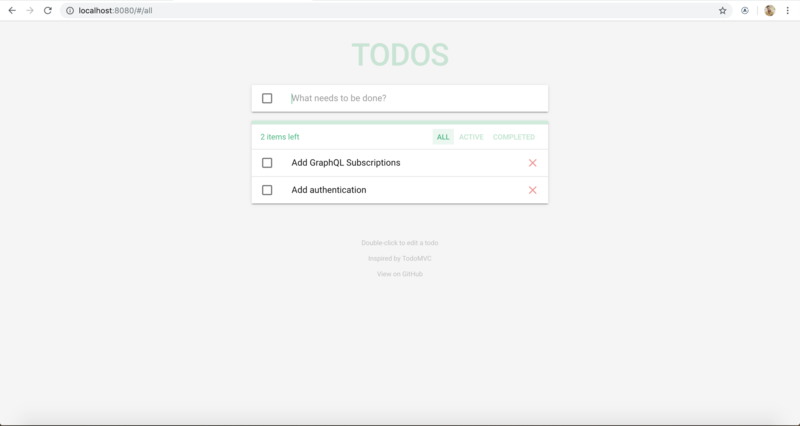 We will integrate Hasura GraphQL APIs with this todo app. Refer the github link to deploy Hasura and create the todos table. Once we have Hasura deployed, we can configure the frontend to make GraphQL queries. We add all modules required to configure ApolloClient. Once this is configured, the apolloClient can be imported and used across the app. 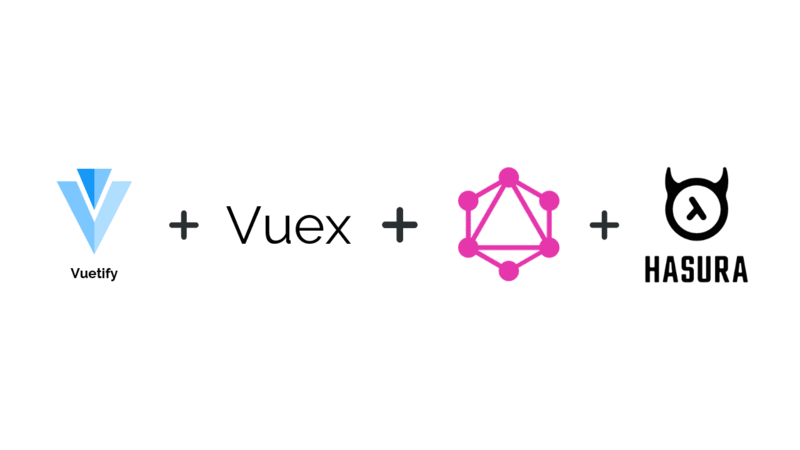 We define the GraphQL queries/mutations and trigger them in Vuex store. For example, to fetch all the todos, we define a simple query to fetch todos sorted by latest id. and in our actions, we make this query using apolloClient and invoke the mutation handler using commit which will update the state. Note that we are making use of async, await which makes the syntax cleaner. 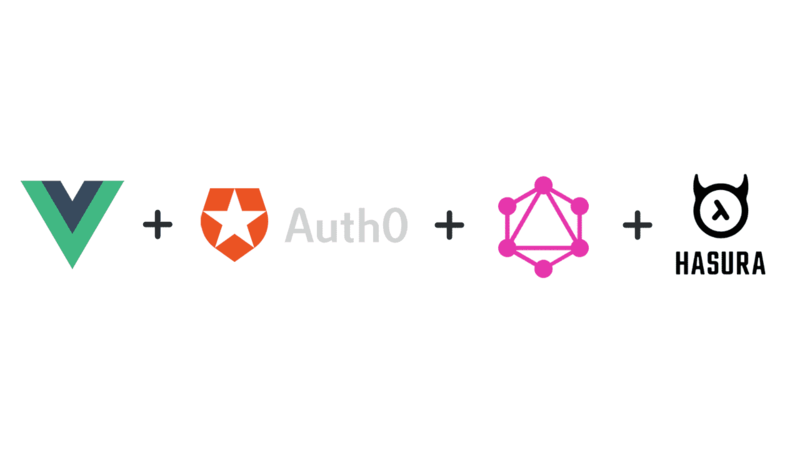 Let's define a GraphQL mutation to insert a new todo. This mutation accepts a $text variable and inserts it into the todos table. Similarly we define GraphQL mutations for adding/updating/deleting todos and we define actions to make the mutation and update the state in the Vuex store. which can be configured to get a Lighthouse score of 100. I have put together the app with complete GraphQL integration so that you can get started quickly and extend it further! Note that this app doesn't have any user authentication yet and its currently a demo to integrate GraphQL queries/mutations with Vuetify + Vuex with Hasura.